So, I was wondering how many planets can a star have, so I created this challenge. Rules: It has to be a single star, no binary, triple or more stars. It has to be a random star (RS in front of it's name). Dwarf planets and asteroids don't count as planets. My best is 11 planets. It would probably be good to specify whether dwarf planets count (in my opinion they should not). Which is strange enough also the maximum number of moons I've ever seen on a procedural planet. The maximum around a single star is 15 I think, at least that's what I've heard. I remember I found 17 one day, but most of these were dwarfs planets. I had a hard time finding another single star with 13 planets, 14 planets and above must be very rare stars. This star (RS 8403-196-6-2311-9 B ) has 13 planets. The other star has 9, 22 in total. Another example is RS 8403-393-9-20230125-435 B. For whole binary systems, I've seen 23 planets a few times, but never more. I've seen more, I think 26 or 27 in total. But only once. I highly doubt that. It was most likely at least a binary star system you saw. I would surely like to see such a system though. 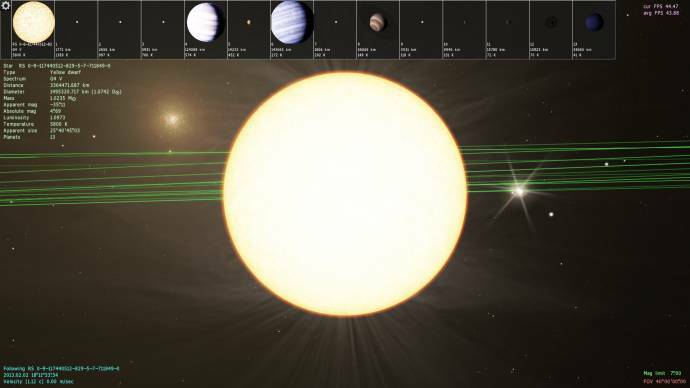 But even if it's actually possible for so many planets orbiting a single star in the real universe, I don't think SpaceEngine currently can generate that many. Take a screenshot next time! I think Tim was commenting on the number of planets for a binary system. I've only counted 23 a few times for that, but I've seen a few more for multiple systems. 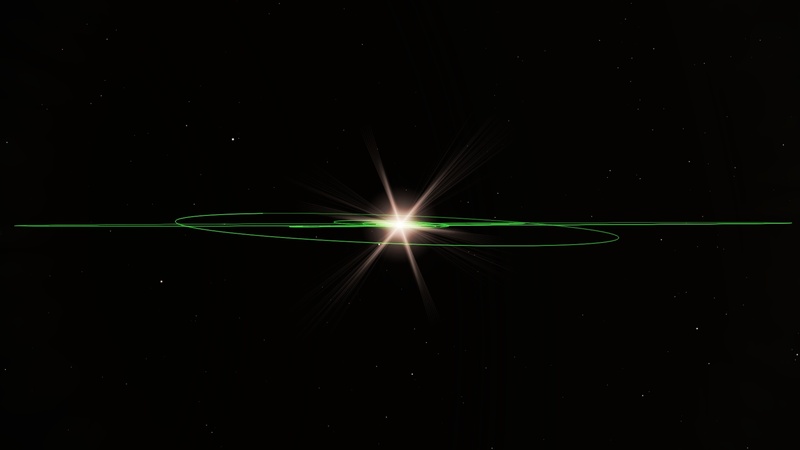 EDIT: Oh, here's a 25 planet binary system. 13 planets around one star, 12 around the other. 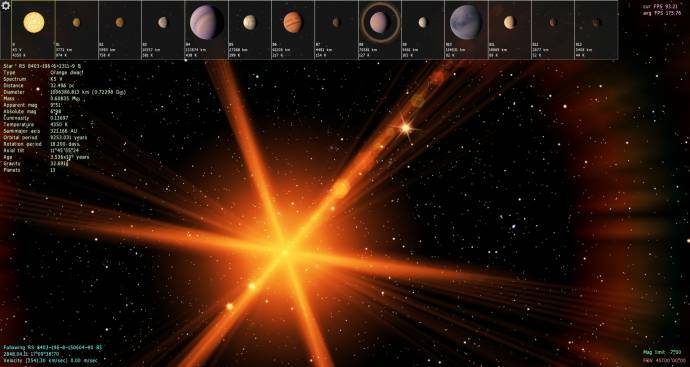 Here's a red dwarf with 14 planets. 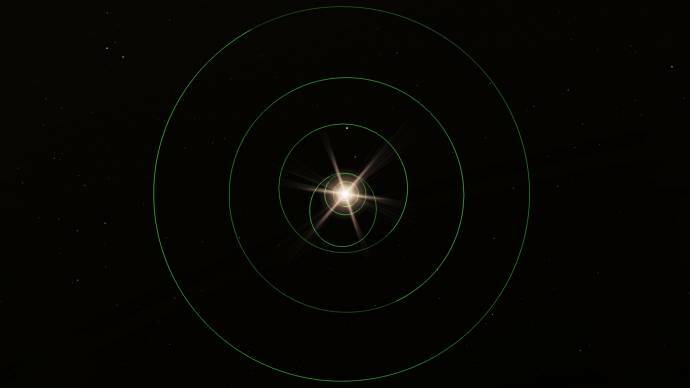 Part of a binary system with 25 planets. If you had read the post just above me, you would've known we were talking about all star systems and not just planets around a single star. 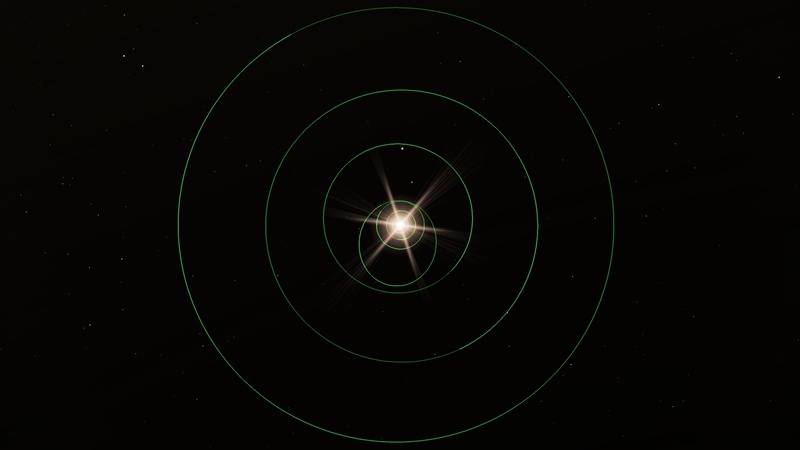 Does it count if the planets are orbiting a single star, but that star is part of a multiple system? On the topic of binary star systems or more, I think they are much more prone to having more planets orbiting a single star due to the gravitational activity and/or the total available matter in the system as a whole. 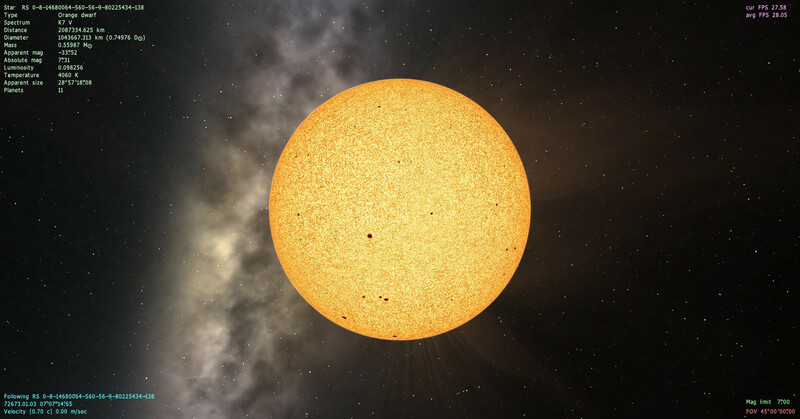 Perhaps over time some planets may have changed their parent star (over a very long time). I think Tim was commenting on the number of planets for a binary system. I've found a few 14 planet systems, but never 15. Here's an example: RS 8403-173-7-1561380-461 (yellow dwarf).